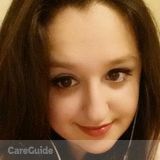 Want to connect with Mirjana? Are you having trouble writing an essay that guarantees you an A? Or further more grammar, writing, reading or speaking and listening in both french and english? Look no further, we are a tutoring centre that specializes in languages. If you are interested in improving your language skills, or even getting ahead of your grade level, we would love to help you at a considerable price. Our teachers are native speakers and u of t graduates with years of experience in public and private schools. Our hours consist of 4 pm - 8 pm Monday to Friday and Saturday and Sunday 10am -2 pm. To register please contact us at 647-705-.... We also offer other subjects as listed below.